Inequality has been at the centre of much debate in recent years. This conference brings together experts from history and other social sciences and humanities disciplines. 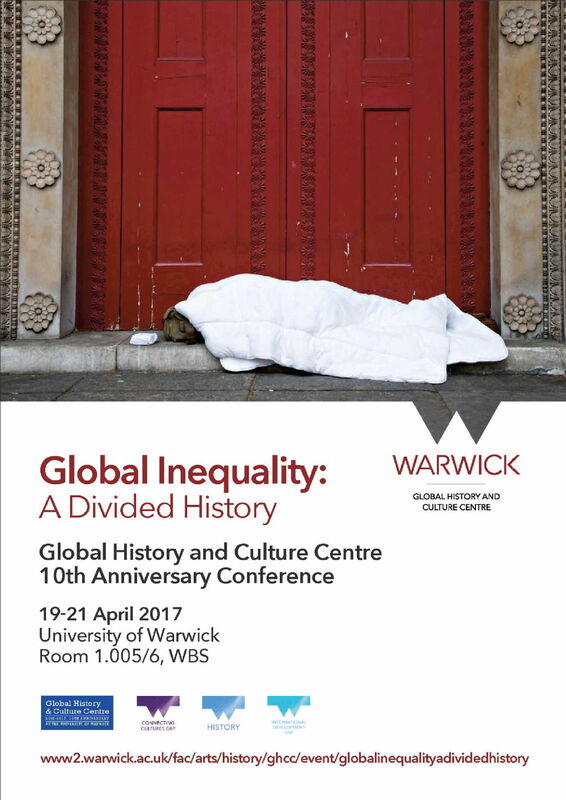 While the discussion will be informed by today’s debates over the subject, the overall aim of the conference is to investigate inequality from a historical perspective. We embrace a definition of inequality that is understood in terms of economics, education, gender, ethnicity, health, access to resources, the environment, economic and socio-political rights, etc. Warwick staff and students are welcome to attend free of charge. Please contact Amy Evans amy.evans@warwick.ac.uk to register for this event.